Russell Baze (Christian Bale) leads a dead-end life - he works a meaningless steel mill job all day, and cares for his terminally ill father at night. 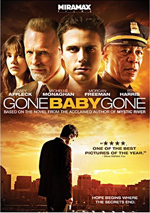 When Russell's brother Rodney (Casey Affleck) returns home from Iraq, he is lured into one of the Northeast's most ruthless crime rings and mysteriously disappears. When the police fail to solve the case, Russell puts his life at risk in order to seek justice for his brother. With 2013’s Out of the Furnace, we find a character piece that looks at lives among the residents of a depressed Pennsylvania location. Set in 2008, Russell Baze (Christian Bale) struggles to make a living and help those he loves. One positive exists in Russell’s life: his relationship with girlfriend Lena Taylor (Zoe Saldana). Otherwise, Russell runs into a lot of trouble. Russell’s father (Bingo O’Malley) suffers from a terminal illness, and his younger brother Rodney (Casey Affleck) can’t get his act together after his return from combat in Iraq. This means Russell works overtime solely to keep his brother out of trouble, as Rodney gambles away his money and Russell needs to repay those debts. One evening Russell drinks too much and gets into a car accident. He winds up in prison, and by the time he earns his release, he learns that Lena left him. Rodney also places himself in more and more problematic circumstances, and he brawls to make extra money. Rodney hears that fights in backwoods New Jersey can earn big bucks, but his bookie/handler John Petty (Willem Dafoe) urges him to avoid those circumstances. The headstrong and money-hungry Rodney ignores this advice and ends up involved with psychotic drug-dealer Harlan DeGroat (Woody Harrelson). We follow what happens there and how the repercussions affect Russell. As I write this, I’ve seen Furnace twice; I watched it theatrically and then again on Blu-ray. I think the film worked better on second viewing, though I wouldn’t call this “praise”, as I don’t think the additional screening revealed positive nuances I missed the first time. Furnace didn’t satisfy me more at second glance; it simply disappointed me less. When I watched it theatrically, I continually expected something more than what I got, whereas on Blu-ray, I knew what to expect and couldn’t feel as let down by the result. That said, I remain disappointed with Furnace, as it never coalesces into a compelling project. Much of the problem stems from the slowness of the film. I don’t demand every film to move at a breakneck pace, and I’m fine with stories that proceed at a less than dynamic rate. Heck, I liked Inside Llewyn Davis and barely anything actually happens in that one. But Davis gave us some intriguing characters and situations, whereas Furnace ends up with a “been there, done that” feeling. The movie starts out well but sputters before too long, largely due to a combination of the predictable story and the lethargic pacing. It follows an easy to anticipate narrative and doesn’t seem to have anything new to say. Furnace also takes forever to go anywhere. It's like the first act fills 80 percent of the movie and they cram acts two and three into the last 20 percent. I wouldn't mind this as much if the character development became richer, but even with all that time devoted to exploration, the characters remain underwritten and thin. Scratch that – Ruuseell gets a reasonable amount of depth, mainly as the guy who tries to do everything right but who still ends up with the fuzzy end of the lollipop. Nonetheless, he doesn't develop as well as he should given all the time we spend with him, and the other parts are one-dimensional. This makes it tough to spend two hours with these folks. Again, I don’t mind the slow pacing in theory, and I have no objection to the grimness and depressing nature of the subject matter. I just can’t find much about Furnace to make it an interesting take on its topics. Frankly, the movie leaves me mostly bored. There's just not much drama or character intrigue along the way so it winds up as a plodding dud in search of something to say. 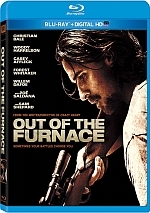 Out of the Furnace appears in an aspect ratio of approximately 2.40:1 on this Blu-ray Disc. This became an appealing representation of the movie. Sharpness mostly looked strong. Softness did occasionally materialize, but much of that came from stylistic choices, so the majority of the flick came across as well-defined. No concerns with jagged edges or shimmering occurred, and edge enhancement remained absent. Source flaws also failed to create any problems, as this was a clean presentation. In terms of colors, Furnace tended to go with a mix of teal and amber. Within those choices, the colors appeared well-developed, so I encountered no problems with them. Blacks were deep and firm, while shadows showed nice delineation. Overall, this was a good transfer. I felt the DTS-HD MA 5.1 soundtrack of Furnace worked better than expected for a character drama. The film came with a few semi-action scenes, and those fleshed out the spectrum fairly well. In addition, the mix boasted a lot of good environmental material, and those elements could seem broad and engaging; for example, shots at the steel mill used the five channels in a dynamic manner. Audio quality was always good. Speech sounded crisp and distinctive, and music followed suit. The score was consistently lively and full. Effects also demonstrated nice vivacity and accuracy, with positive bass response along the way. This turned into a satisfying sonic presentation. Most of the extras revolve around featurettes. Inspiration runs three minutes, 30 seconds and provides comments from actors Sam Shepard, Casey Affleck, Zoe Saldana, Forest Whitaker, Willem Dafoe, and Christian Bale. They tell us about what got them interested in acting. We find a few decent notes but we don’t hear nothing special. Scott Cooper goes for six minutes, 39 seconds and shows us notes from Saldana, Bale, Whitaker, Affleck, Shepard, director Scott Cooper, executive producer Jeff Waxman and actor Woody Harrelson. The piece discusses what inspired the film, its themes and story/character elements, Cooper’s impact on the production, and locations. A few nice details emerge, but a lot of the program does little more than praise the director. Next comes the five-minute, 15-second Crafting the Fight Scenes. It presents notes from Affleck, Cooper, Harrelson and stunt coordinator Ben Bray. We get info about fight choreography and Affleck’s training. Some puffery emerges but this reel gives us more meat than usual. Finally, The Music of Out of the Furnace runs nine minutes, seven seconds and includes info from Cooper, composer Dickon Hinchliffe and music supervisor Bob Bowen. As expected, the piece covers the songs and score of the film. It’s another decent but not great featurette. The disc opens with ads for Robocop (2014) and The Counselor. Sneak Peek adds clips for The Family, Don Jon and The Bridge Season One. We also find the trailer for Furnace. With a cast of notable actors, I expected a good character drama from Out of the Furnace. Instead, I found a slow, predictable piece without much to make it compelling. 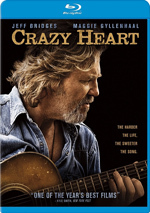 The Blu-ray provides positive picture and audio but lacks much in terms of bonus materials. Chalk up Furnace as a dull disappointment.